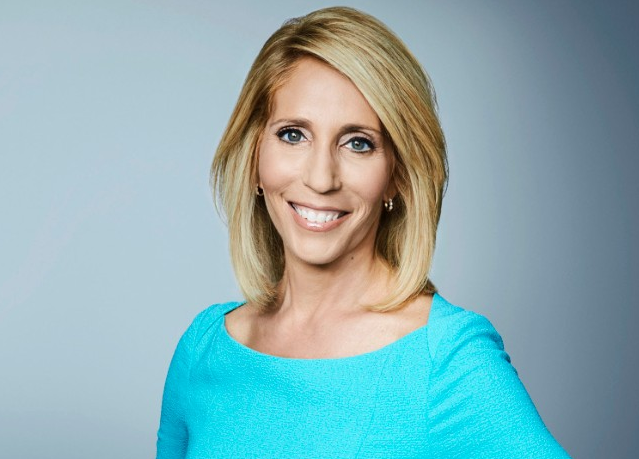 The lovely Dana Bash is a journalist and a news anchor by profession. She is presently working for CNN, the world’s largest news organization. She is also political correspondent for CNN. She was born on June 15, 1971, at Montvale, New Jersey. She belongs to American nationality. She is the daughter of Stu Schwartz who is the senior broadcast producer for ABC news channel and his wife Frances Weinman Schwartz. She attended Pascack Hills High School and later completed her graduation from George Washington University. She holds a degree in political communications. She wears clothes that are profession appropriate. Her hair and makeup are generously done. Her formal dresses highlight the best features in her and she proudly shows off her beautiful legs in the tight fitted skirts. She stands tall at four feet and eleven inches. Her eye color is light brown and her hair color is light brown. Dana always aspired to become a journalist from her early years on. She opted for the apt course that would help chase her career in journalism. She has come a long way in her career. She has the extensive experience covering Congress. At present, she covers the activities relating U.S House of Representatives and Senate. For her excellent work, she won Dirksen Award from the National Press Foundation. She was a former White House correspondent before being promoted as CNN’s chief congressional correspondent. Interestingly, she started her career as Dana Schwartz, with her father’s title and later switched to Bash. Prior to becoming an on-air reporter, she has had the experience of working as a producer. She was a producer for CNN on Capitol Hill. She has also produced CNN’s weekend shows including Late Edition, Evans & Novak and Inside Politics. Today, she is working at the senior most position of a reputed News Channel, it’s a dream come true for Dana. She understands the responsibility of meeting a standard. She has a lot of people reporting to her and thus, it becomes essential for her to carry herself with great panache. As of 2018, CNN interviewed Dana Bash debates political consultant Kellyanne Conway on the perceived impact of a spouse and using social media to express disagreement over political issues. Dana has been married and divorced twice. It must be heart-wrenching for her to go through two failed marriage, but she is all hopeful and has not given up on the faith of finding her true love someday. She has one child. She married Jeremy Bash in 1998 but filed for divorce shortly after. She found love in John King and they announced their romance back in 2007. She tied the knot with him in 2008. She and her husband, King are the proud parent of a beautiful son together named Jonah Frank King. Unfortunately, the couples could not survive their relation for long-term and in 2012, they separated. At present, there are no reports about her having any boyfriend. She is already the age of forty-two. She is a working mother. She has reached great heights in her career. She is enjoying her work life to the best. She is earning the massive amount of salary from her employers. She is more than satisfied with her pay. She has accumulated the huge amount of wealth over her work period. Her net worth is $2 Million. She has earned many admirers over her career span. She is like a role model to many aspiring journalists. Her fans can remain close with her through the twitter account. She is political correspondent for CNN. She holds a degree in political communications. She has earned many admirers over her career span.